What Happens to My Pond Fish In Winter? A few years ago, you may not have even been able to find a company in Kalamazoo that installed outdoor Christmas lighting. 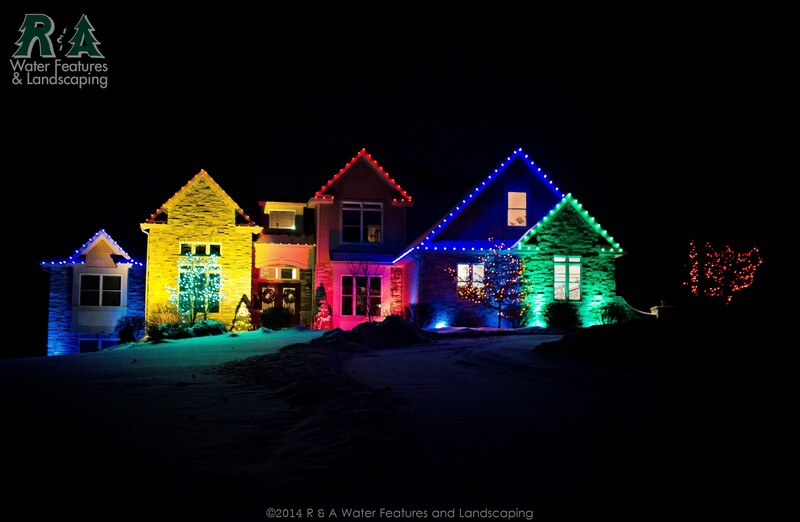 Now, when you search on google you may find several results for professional holiday lighting companies who provide that service in Kalamazoo! Many of our clients start with a similar concern; “How do I know what to look for in a Christmas lighting company?” Here are 3 simple ways to choose your professional Christmas lighting company in Kalamazoo to suit your needs. Make sure the company has appropriate experience and insurance to be on your roof. Also, consider what your expectations are. Are you looking for input on the design of the display? Are you expecting something unique and attractive? If you want a professional looking display with nice straight lights and a clean finished look, you could save yourself some serious headache by hiring a professional. This is going to be a big factor in your decision, so consider what your goal is. If the Christmas lights are only needed for a party or for one season, a “service-only” model would make more sense in either case. The service provider would supply the lights, and basically rent them to you for the occasion. You would not own the materials. However, if you plan on having Christmas lights up year after year to enjoy, then hiring a company who sells the materials to you and charges for the installation/takedown accordingly, will provide better value in the long-run. While there will likely be a higher first-year cost, you will notice a significant cost-savings in subsequent years, when you only pay for installation. Are the Christmas lights Incandescent or LED lights? And what might my increase in electricity consumption be due to the display? We hope this information helps you chose your Christmas lighting company, or at least provides some additional things to think about.